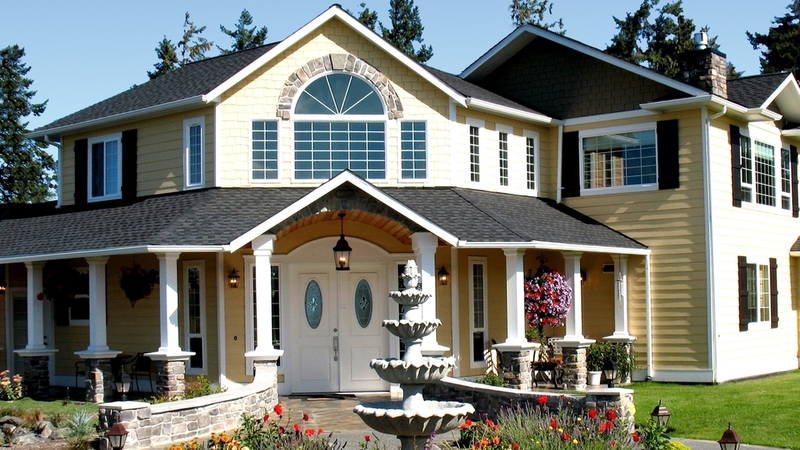 At this luxurious Bed and Breakfast in Port Angeles, Washington, a unique Eden by the Sea experience awaits you. We are secluded on the Olympic Peninsula between Sequim and Port Angeles, in the land of the Great Northwest. Here, you are surrounded by the wonders of nature where wildlife creatures roam the lush, green gardens. The awe of the magnificent Olympic Mountains and fascinating seascapes on the Strait of Juan De Fuca engulf you in panoramic views. Each day is complete when a captivating sunset unfolds before you while looking out over the water or through majestic trees. As a guest at our Bed and Breakfast, you may choose to sit quietly on the bluff to watch the eagles glide gracefully down from their treetop perch to soar over the water. While relaxing on the house deck you may enjoy the deer roaming the grounds as a pheasant crows from his roost. If you sit long enough, the wild birds will bathe and feed nearby and a raccoon may be seen in the distant brush. Accommodations include a peaceful rest in rooms with private baths and views of the water and mountains. While enjoying your favorite book or one from our selection, take advantage of our 24 hour coffee and tea service and a snack from our selection of complementary goodies. As the evening sun sets on your day, we invite you to the Great Room. There you may watch the ships sail serenely across the water while the lights of Victoria, Canada appear on the horizon. Perhaps you would be more aptly entertained by views from the Conservatory as the sinking sun leaves a spray of beautiful colors on the mountains nearby. Join us soon to be enchanted by your Eden experience and treated like royal guests.